A man has been remanded in custody following a serious assault in Morrisons supermarket in Lincoln Road on Monday. 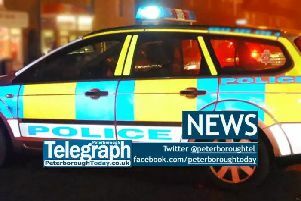 Police were called at 10.45am on Monday, January 9, to reports of violence at a branch of Morrisons in Lincoln Road, Peterborough. Marian Carcel, 37, of no known address, has been charged with two counts of assault by beating and one count of causing actual bodily harm (ABH). He appeared at Cambridge Magistrates’ Court yesterday, Tuesday, and has been remanded in custody to appear at Peterborough Crown Court at 10am on Tuesday February 7. A spokesman for the East of England Ambulance Service said they treated four people at the scene, although no-one needed hospital treatment.